​If you have dreamed of volunteering with your animal, or even if you don’t have an animal but would like to volunteer, or if you’re currently a volunteer but would like to refresh your skills, then the Fur-Real Hands-On Handler Practicum is for you! 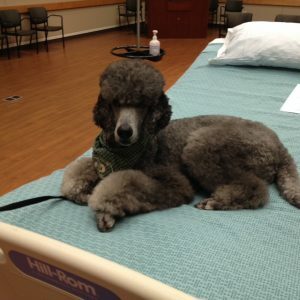 ​The name of the class “Fur-Real Hands-On Handler Practicum” is new, but Therapy Animals of Utah (TAU) has been teaching these principles and techniques for the past 20 years. Our mission statement is: Sharing the comfort, love, hope and healing of the human-animal bond through training, service, education and research. Effective training is integral to our mission. 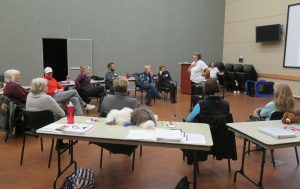 Additionally, Therapy Animals of Utah is proud to be the only Utah Community Partner of Pet Partners, a pioneer and leader in animal-assisted interactions and in the training and testing of therapy animal teams. ​New handler volunteers (those who volunteer with their own animal) are required to take the online Pet Partners course, which provides the foundation information. 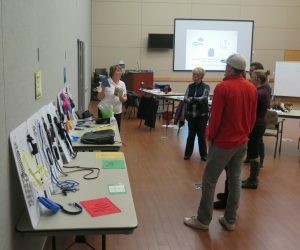 New volunteers are encouraged to participate in the Fur-Real Hands-On Handler Practicum in person to help reinforce their learning and practice the hands-on skills that help turn the theory into practice. ​People who don’t have animals that they want to volunteer with, but want to volunteer “unleashed”, are also asked to take the hands-on practicum, since it will better prepare them for their work as an unleashed volunteer. The fee for the Practicum includes a one year membership in TAU and help in getting started. 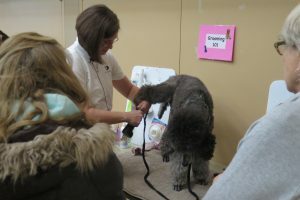 ​The Fur-Real Hands-On Handler Practicum teaches the animal stress and calming signals in a thorough, practical way. Our practicum also reinforces the online course principles of supporting the animal, confidentiality, and infection control through practical demonstrations and practice. We also emphasize best practice positioning while walking into a facility, reading to children, visiting clients who are using walkers, sitting on couches and chairs, wheelchairs, and bed-side visits, as well as working with groups and with therapists. Current volunteers are encouraged to attend for free and update their skills. ​The Fur-Real Hands-On Handler Practicum provides an opportunity for volunteers to build their skills through practical demonstrations and role-plays, which in turn can better prepare them to pass their team evaluation. Once a team becomes certified to volunteer together, they continue to receive support from Therapy Animals of Utah through our mentoring program. Fur-Real Hands-On Handler Practicum is conducted approximately 6 times a year in Salt Lake City, the Ogden area and Provo, Utah. Our next course is Saturday, September 16 in Ogden, Utah. Check our online calendar and register below.